Enter a phone number and we'll return the carrier name and whether the number is wireless or landline. This carrier lookup service is number portability aware; it works with ported phone numbers from most countries. 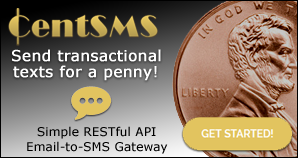 We also return the email-to-SMS and email-to-MMS gateway addresses for USA and Canadian* phone numbers.